You are here: Home > Rules for Internal Examination for FY/SY/TY BAF from 2016 – 17. 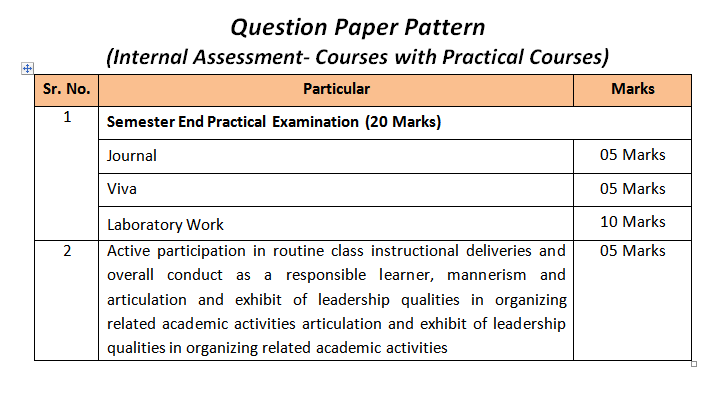 In order to standardise Internal exams evaluations, Mumbai University has compulsorily Implemented format for Internal evaluations for all the 6 semesters of BAF. From the above, it is very clear that 20 marks are dedicated to written test, also the written test has to be in the above format. This changes has been bought to standardise the Internal examinations, and cannot be REPLACED BY ANY ALTERNATIVE METHODS. Also the same has been introduced so that proof of Marks are maintained by college and the same can be asked by the university for any required doubt or cross checking. The learners to pass a course shall have to obtain a minimum of 40% marks in aggregate for each course where the course consists of Internal Assessment and Semester End Examination. The learners shall obtain minimum of 40% marks (i.e. 10 out of 25) in the Internal Assessment and 40% marks in Semester End Examination (i.e. 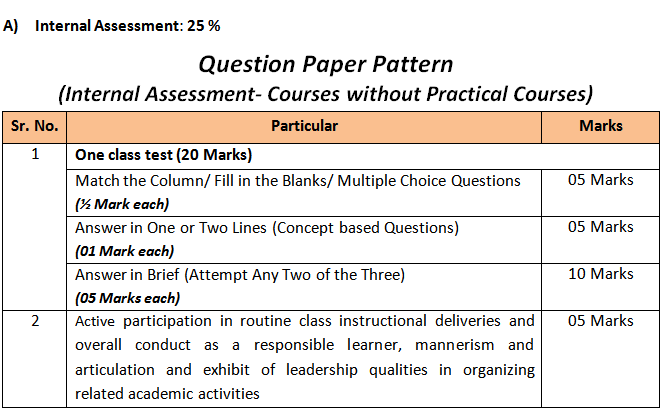 30 Out of 75) separately, to pass the course and minimum of Grade E to pass a particular semester A learner will be said to have passed the course if the learner passes the Internal Assessment and Semester End Examination together. 2 Responses to Rules for Internal Examination for FY/SY/TY BAF from 2016 – 17.